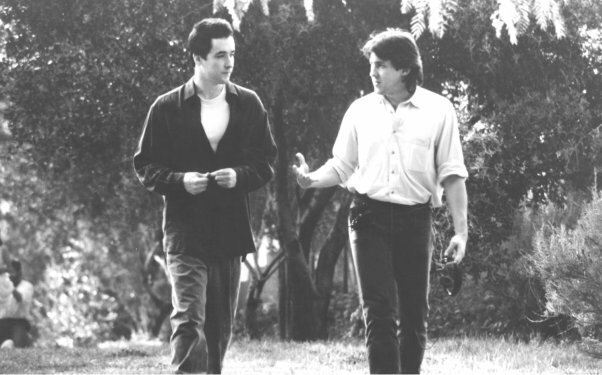 Say Anything premiered in 1989 as the directorial debut of Cameron Crowe. Over time the film has gone on to become one of the most iconic movies of the 80s not made by John Hughes. 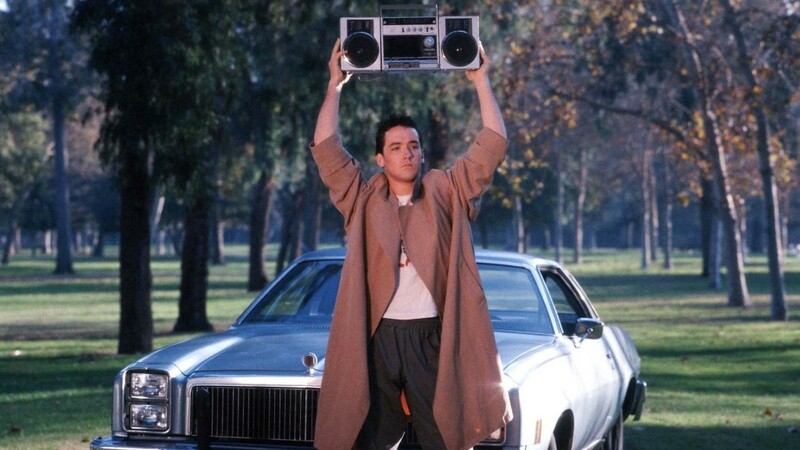 Starring, at the time, relatively unknown actors John Cusack and Ione Skye, Crowe’s Say Anything is a defining piece about firsts: first love, first heartbreak, and the first steps into adulthood. He’s a smooth operator, a gentleman, and a nice guy, who is missing the drive and ambition that Diane has, instilled in her by her father. On paper, together the two of them just don’t work. Meanwhile, Diane is supposed to be leaving at the end of summer to study in England. During their summer together the two deal with their growing feelings for each other, the pressures from those around them, and themselves, as well as breaking up, and making up. With Say Anything, and his writing debut, Fast Times at Ridgemont High, to films such as Singles, Jerry Maguire, and Almost Famous, Cameron Crowe has proven to be a master of understanding youth experience, poignancy, first experiences, loss of innocence, and the pains of adolescence. Beyond that, he has demonstrated the innate ability to define moments; with music as a part of his method, Crowe is responsible for some of modern film’s most iconic moments. In Fast Times: Jennifer Jason Leigh losing her virginity in the baseball dugout to Jackson Browne’s “Somebody’s Baby;” Diane losing her virginity and, later, Lloyd attempting to win her back with their song, Peter Gabriel’s “In Your Eyes;” or, Tom Petty’s “Free Fallin’” as the anthem for letting go of one’s fears and inhibitions in Jerry Maguire; Elton John’s “Tiny Dancer” as the culmination of a band’s relationship dynamics, the fears and desires of fame and losing it, in Almost Famous; and Elizabethtown’s meditation on father/son dynamics, death and loss, set to the bulk of Elton John’s Tumbleweed Connection album. The man is no stranger to creating defining, iconic moments in film with the help of the perfect song. And that is exactly Cameron Crowe’s signature style, capturing a moment, a feeling, an era, or a character, and turning that moment into something endearing and identifiable, that’s what he excels at accomplishing. But what makes these moments so endearing is how easily relatable they are for viewers; as the director has said before, “That’s the theme of my movies: the victory of the battered idealist in a cynical world,” something audiences can get behind. Cameron Crowe has been capturing moments for most of his life now, beginning at the age of 15, as the youngest ever contributor for Rolling Stone, interviewing such bands as, The Allman Brothers Band, Yes, Led Zeppelin, The Eagles, and Fleetwood Mac, to name only a few. When Rolling Stone relocated to New York, he opted to stay in Los Angeles, where he began writing the non-fiction novel and journalistic endeavor, “Fast Times at Ridgemont High: A True Story,” going undercover as a young 22 year old in high school, to observe and tell the stories of adolescence. The movie rights for the book were optioned before he had even finished it, at which point he was given the opportunity to write the screenplay for Amy Heckerling. After that, director James L. Brooks saw a unique voice in Crowe and commissioned him to write the story of a father and daughter relationship, threatened by the father’s involvement in shady business dealings, which became Say Anything; Crowe added the romantic relationship between Diane and Lloyd. Brooks went on to produce Crowe’s first outing as a director. Crowe then expanded his focus with Singles, centered on young, twenty-somethings in grunge-era Seattle, and then expanded his career with his biggest hit to date, Jerry Maguire, which allowed him the opportunity to tell his most personal story, his own, with Almost Famous. Crowe continues to this day to build an illustrious career, with a new film only every few years. Despite some, arguably, critical missteps with Vanilla Sky, Elizabethtown, and We Bought A Zoo, he is still a sought after storyteller, inarguably, a writer/director with a clear tone, style, and vision, unlike anything else in mainstream cinema. In fact, he is currently filming a new untitled project (previously titled, Deep Tiki), with a host of young, in-demand starlets, including Emma Stone, Rachel McAdams, and Bradley Cooper. What truly makes Crowe’s Say Anything stand out among any other 80s romantic movie is its real-world grounding, its cynicism, and its doubt. And to the movie’s credit, it isn’t all about the love story either. In fact, some of the strongest scenes in the movie are often about familial relations, those between Diane and her father (John Mahoney), and Lloyd and his sister (real life sister, Joan Cusack). Diane’s complicated and strained relationship to her father is what really grounds and makes the film work, deep down the dynamic between them is what defines these two characters, as Diane comes to find that her father’s life and devotion to her is morally challenged, she must work through it regardless of Lloyd and his affections. There are no happy endings in this world, merely another bump on life’s road to be dealt with. Say Anything, for some (battered idealists, maybe), is a cynical look at teen love, sweet and harrowing at the same time, for others, the film is optimistic, though challenged by life’s realities. And this is simply another part of what makes it such a fine film: its open-to-interpretation ending that divides audiences between those that hope for Lloyd and Diane, and those who see an inevitable rocky path for the young couple. But this is Crowe’s way, capturing a moment and sharing it with audiences who can identify, empathize, and connect it to their own experiences while asking them to decide for themselves what the rest of story will be.